All good parties must come to an end, and this one is no exception. The old geezers of the group, grandma and grandpa Pension, are complaining that the music is too loud and that it’s past their bed time. They have however agreed to do one last meet and greet before this shindig wraps up. So without further ado it is my pleasure to introduce you to Mr. & Mrs. Pension (they are cranky so we will keep this short). So what is it? Pensions are company sponsored retirement plans that provide retired employees with a fixed payout, usually paid monthly, for the remainder of their life. A common requirement is that the employee work for the sponsoring company for a specific period of time determined by the company (this is referred to as vesting) in order to qualify for the pension benefit. How does it work? The employee first must sign up for the pension plan then complete a vesting period, usually 5-7 years of active employment, once complete they are entitled to a fixed benefit in retirement (age 65). The amount paid is usually determined by number of years worked for the company and salary level upon retirement or throughout the employee’s career. Traditionally pension plans do not require employee contributions, the employer provides all the funding, however there are some plans that may require employees to contribute. Example: Sam worked for Procter & Gamble for 30 years; his Pension plan states that he will be paid 2% of his average salary multiplied by the number of years worked for the company, each year once he retires. Sam’s average salary during his employment was $70k per year. To calculate his pension payment Sam multiplies 2% by his average salary ($70k) then multiplies the result by years worked (30) to get $42k (2% x $70k x 30). The result, once Sam retires he will receive $42k a year in pension benefits, or if paid monthly $3,500 a month for the rest of his life (pretty sweet deal in my opinion). Important information to note: Over the past few decades pension plans have become scarcer, especially in the private sector mainly because of the high cost to maintain. With no employee contribution in many cases, and guaranteed befits, the employer must offset any market downturns to maintain the fixed benefits. 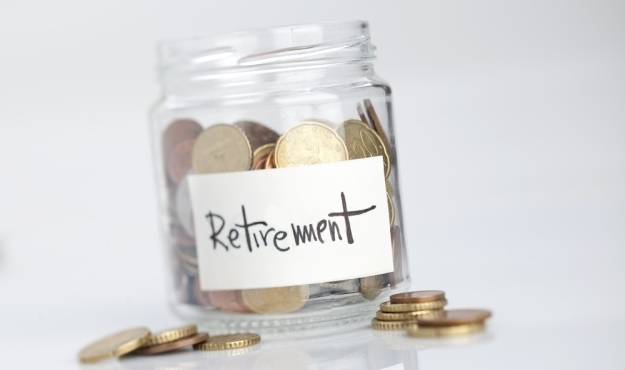 It should be no surprise that direct contribution plans like the 401(k) have become the retirement vehicle of choice due to lower costs and the ability to pass the responsibility for retirement planning on to the individual employee. So that about wraps it up for this retirement party, if you have any additional questions about pensions drop a comment below and I’m sure we can convince Mr. or Mrs. Pension to get back to you. If you missed all the action until now you can catch up here with the 401(k) and here with the IRA. I hear there is an after party in the works for sometime next week, make sure to tell your friends (I hear Facebook, Twitter, and Google+ are good ways to do that ;)) so they can catch up on all the action before it happens! This is a very simple example; the math behind the real calculations can be much more complex. It’s a known fact that the cool folk don’t get to the party until after it’s started, and that fact remains with this retirement extravaganza. We are nearing the half way point (8:00pm, this is retirement after all) and who shows up to join the 401(k), none other but the Traditional IRA or Individual Retirement Account and his younger brother the Roth IRA, arguably two of the most popular and discussed retirement plans available today. So what is it? The traditional IRA is very similar to the traditional 401(k); it is a plan that allows you to make pre-tax contributions to a retirement account lowering your taxable income; however it is not company sponsored, the account is opened individually outside of your employer. Institutions like banks (ex. Bank of America) or brokerages (ex. TD Ameritrade) are the main types of companies that offer IRA’s, which can usually be opened quickly and easily online. How does it work? Once the IRA is set up through your chosen institution contributions can be made throughout the year to the account. It might make things a little easier if you think of the IRA like a type of savings account, all deposits are up to you, and if you don’t actively deposit money it won’t automatically happen for you, unlike a 401(k), unless you are able to set up direct deposit through your employer. Simple example: Joe has a taxable income of $50,000/year if he opens an traditional IRA and contributes $3,000 his taxable income will be reduced to $47,000/year. Quick technical detail, because this account is set up outside of your employer, contributions made are actually after tax has been withheld from your paycheck. When you file your annual taxes a deduction is applied for the amount contributed to the plan, lowering taxable income the same amount as pre-tax contributions would have. There are multiple choices of where to invest funds contributed to an IRA, common investment options include, index funds, mutual funds, bond funds, and individual stocks (if a self directed IRA). Once you retire and begin withdrawing funds, those distributions are then taxed at the ordinary income taxes rates at that time. If you file as single and make over $68,000 a year or file jointly and make over $112,000 you are ineligible for a tax deduction on Traditional IRA contributions. The income limits for eligible contributions are higher. Making contributions after tax means you receive a tax benefit in retirement instead of when the contribution occurs. When money is withdrawn in retirement there is no tax since it was already paid. The contribution limits in 2012 for a Roth IRA are as follows, if you file as single and make less than $110,000 or file jointly and make less than $173,000 you are entitled to make the full contribution of $5,000 or $6,000 if 50 or older. Now many people want to know which plan is better, Roth or Traditional, and the truth is one is not “better” than the other in all cases. The choice of which plan to choose largely comes down to your individual tax situation, weather you prefer to pay taxes now or later, and your assessment of future tax rates, something very hard to determine. 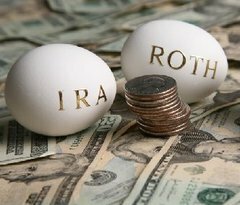 Other notes about the Roth IRA: There are a few beneficial features of a Roth IRA worth mentioning. You can withdraw any contributions made to the IRA tax free at any time even before age 59½. For example if you have contributed $5,000 and earned $2,000 of interest since opening the account you would be able to withdraw up to $5,000 without penalty. If you are a 1st time home buyer you can withdraw up to $10,000 in principal and interest towards the purchase your first house (also applies to Traditional IRA). IRAs can be hairy animals but you should now have the basics down, if you would like more information on Individual Retirement Accounts check out the two links below. So do party with an IRA? If so, did you chose Traditional or Roth, and why? Leave your comments below, and if you learned something new hit the share button! If you happen to be one of the cool folk that missed the first half too, don’t worry, click here to get brought up to speed on everything you missed. 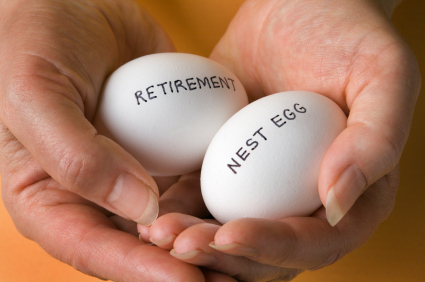 I have received many requests to write a blog post on the various types of retirement plans. This isn’t surprising, since many of my friends are recent college graduates starting their first big boy (or girl) jobs and have never given retirement planning a thought. Instead of doing one long post covering every type of plan I am going to write three separate posts covering the most popular plans, the 401(k), IRA, and Pension. With that little introduction out of the way let’s kick this retirement party off with the big daddy, the traditional 401(k). So what is it? The traditional 401(k) is a company sponsored retirement plan that allows you save for retirement by making pre-tax contributions to the plan. Not every company offers a 401(k) and you can not open one on your own, it must be through an employer. How does it work? You elect through your employer to contribute funds to the plan on a pre-tax basis, usually a set percentage of each paycheck (for more information on pre-tax deductions check out the mini series your paycheck). The company sponsoring the plan will provide the employee with multiple options where they can choose what to invest the funds in, common investment options include, index funds, mutual funds, bond funds, and company stock. Once you retire and begin withdrawing funds, those distributions are then taxed at ordinary income taxes rates (see here for example) In many instances your company will match your contribution up to a certain percent (aka: Free Money!). For example, say I make $10,000 a month (I wish! ); and the company I work for will match my contribution up to 6% dollar for dollar. This means if I contribute 6% of my paycheck ($600) the company will also contribute an additional 6% ($600) for a total contribution of $1,200. Matching varies from company to company and the terminology may differ as well. You might find out that your company matches the 1st 3% dollar for dollar then a 2nd 3% at .50 cents on the dollar, up to 6% total. This means the first 3% of your contribution is matched in its entirety and the subsequent 3% is matched at 50%. Using the $10,000 example from above an employee contribution of 6% ($600) would equate to an employer match of 4.5% ($450), the first 3% dollar for dollar equaling $300 and the second 3% .50 cents for each dollar totaling $150. Important information to note: a 401(k) is not like a normal bank account, it is governed by different laws and regulations. The biggest difference is you can not access your money whenever you want, because it is a retirement account the money can not be accessed until you retire or reach the age of 59 and a half. Now, there are certain instances when funds can be withdrawn before retirement but you could be subject to penalties or additional taxes. Each situation is unique; if you need to withdraw money early from your 401(k) it is best to speak with your HR department or a financial advisor. There are also limits to the amount you can contribute to the plan in a given year, for 2012 the limit is $17,000 and if you are over 50 you can contribute an additional $5,500 for a total of $22,500. These limits do not include employer matching. What’s all this noise about a Roth 401(k)? A Roth 401(k) is the same as the traditional 401(k) except for one key difference, contributions are made after tax instead of before. 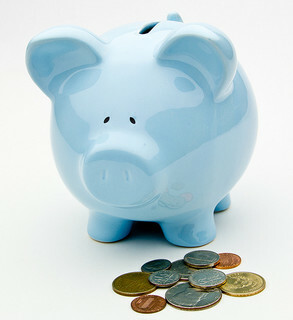 When money is withdrawn in retirement there is no tax withheld since it was already paid. Now many people want to know which plan is better, Roth or Traditional, and the truth is one is not “better” than the other. The choice of which plan to choose largely comes down to your individual tax situation, weather you prefer to pay taxes now or later, and your assessment of future tax rates (something very hard to determine). If you think tax rates could be higher when you retire it may be beneficial to choose a Roth plan, if you think rates will be lower the Traditional plan may suit your needs better. WTF does the (k) mean? The (k) refers to the sub-section of section 401 of the IRS code. Not nearly as exciting as you thought the answer would be, was it? Next up is the Individual Retirement Account, or IRA. It’s for this very reason that if your company offers a 401(k) you should be contributing! !